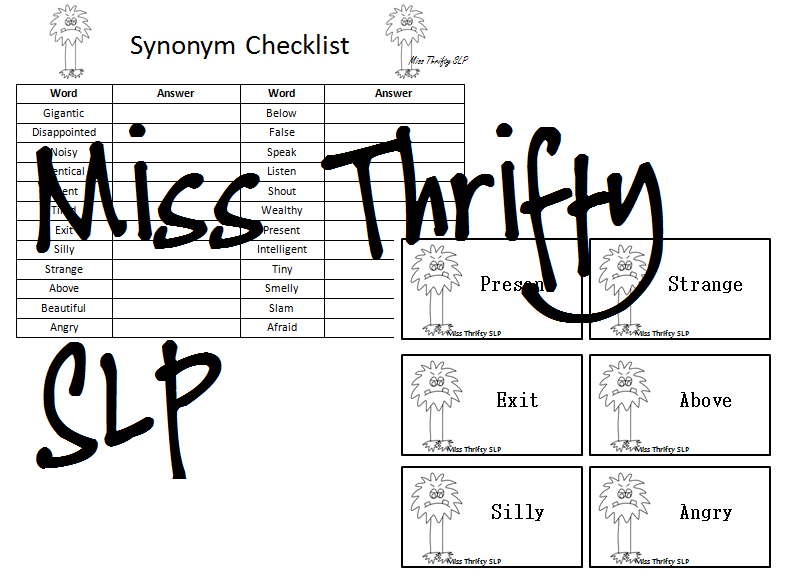 Hey everyone, it's Miss Thrifty SLP! I know that monster stuff is generally more appropriate during Halloween, but I have a few students that want monsters all the time. I decided to give them an extra treat at the end of the year by using a monster theme to review their goals. There's nothing wrong with a little additional motivation after all. 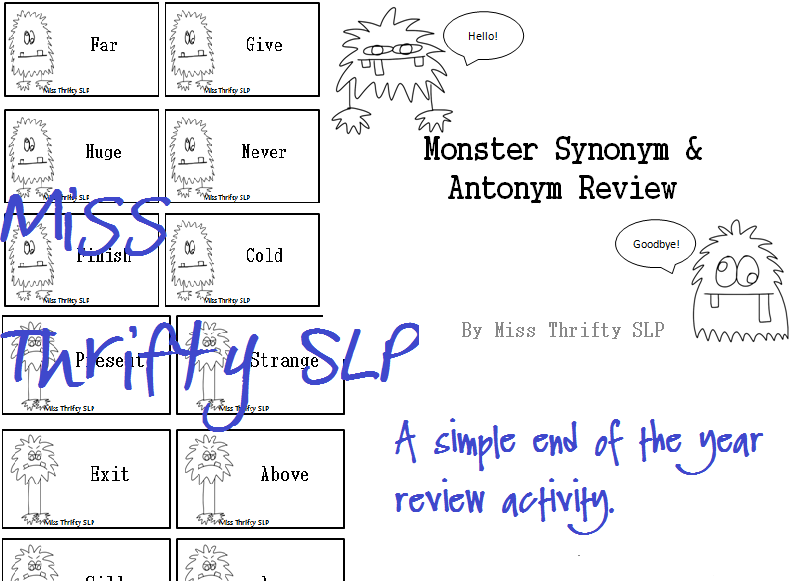 The premise behind Monster Synonym and Antonym Review is simple. The student will pull a card out from the pile and provide either a synonym or an antonym. You can also use these cards to practice some vocabulary words if needed. There's even a handy answer sheet for recording purposes in case you need to want to use it as an informal measure of their progress next year. To grab a copy of the file, just head on over to my blog by clicking the button below.